Announcement: Get featured in upcoming posts! Hello readers! Very soon there will be two new posts: Bases&Landmarks and Spawn. In these posts, we will talk about many adventures, tales and horrors experienced at spawn and also show off some bases. The Bases and Landmark series will most likely be in multiple parts due to the high amount of amazing builds on 2b2t. 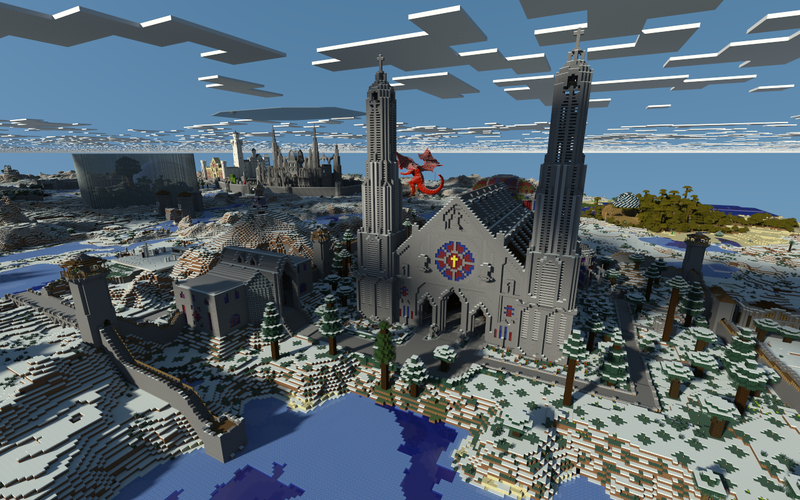 We want to hear about everyone's base or landmarks they have built on 2b2t. Whether it's a group base of 25 players, your own solo base or even if you did something interesting like build a monument you are proud of, please send in your photos with descriptions. Even a small paragraph will do! This also applies to Spawn, if you have screenshots or stories of things you have done and seen at spawn, let us know. You can contact the blog in game on 2b2t by messaging James_Rustles or ask for me as I may be on an alt account. There is also the blog email at the bottom of this website in the About section.